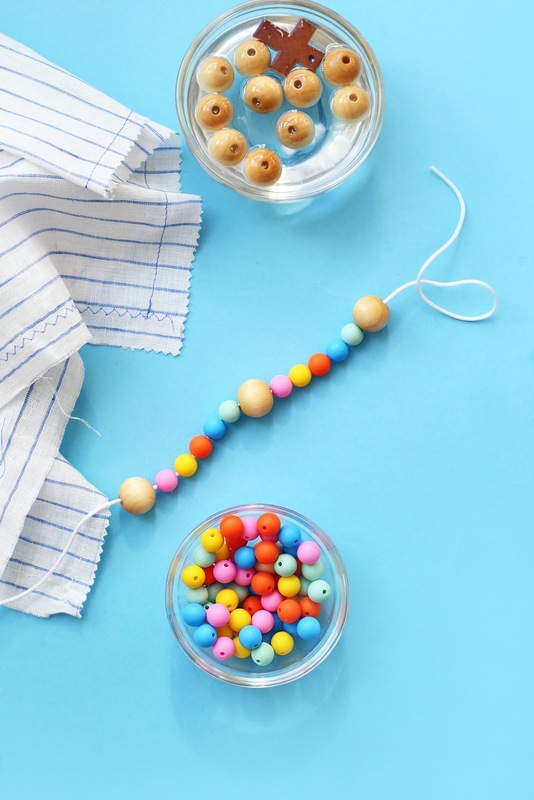 DIY Baby Rosary Beads / Hey, EEP! 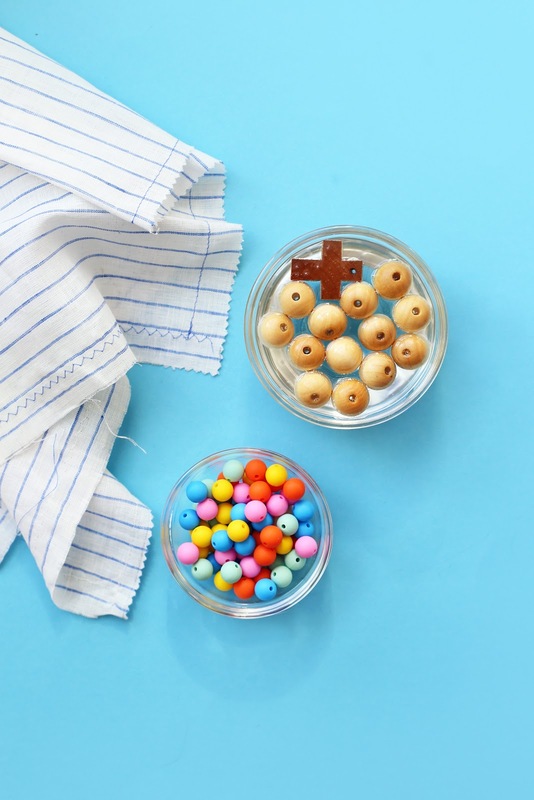 This homemade baptism gift is super fast to make. I made this rosary the morning of the baptism, no joke! 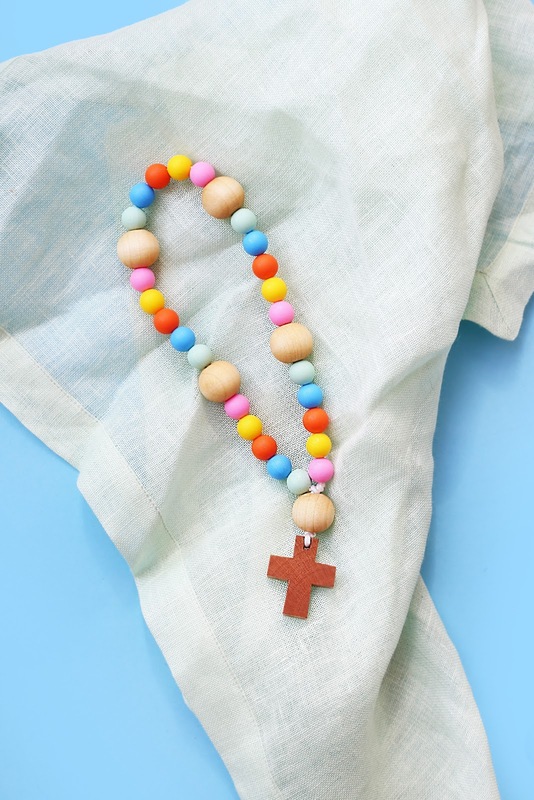 All you'll need: Natural wooden beads, natural wood cross, nylon cord and silicone beads (which are a new discovery for me and I'm totally obsessed)! I found this pack on Amazon that already had the nylon cord included. To soften and coat the wood beads for sensitive baby gums, I soaked the cross and spheres in coconut oil for 15 minutes. This makes a huge difference and I highly recommend doing it. Does your friend have a favorite color that you could share with the baby? Or maybe a specific thee for the nursery that you could match the rosary to? 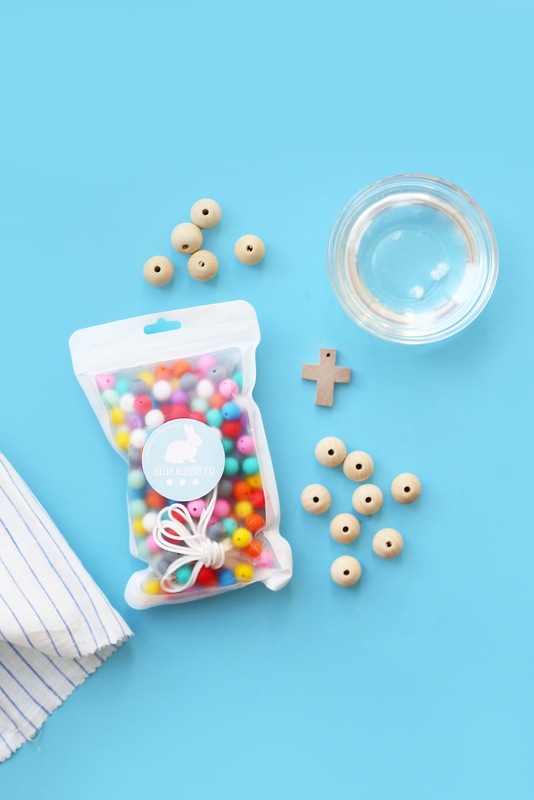 These silicone beads come in so many colors, you can customize the rosary however you'd like! You know me, though. I'm a color addict. I went all out on this gift with blue, turquoise, pink, yellow and an orangey-red. 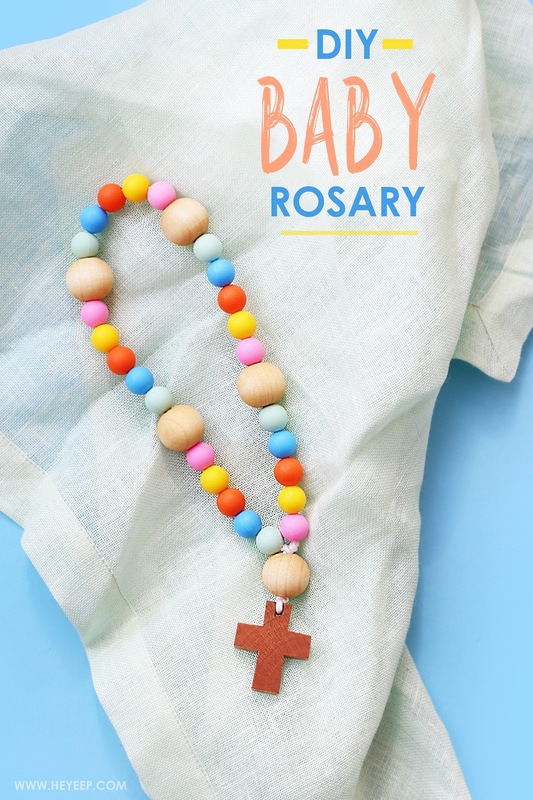 Do you have a wee one in your life that might like a baby rosary of their own? Or maybe a friend who would find a homemade baby rosary really lovely and special? It meant a lot to me to be able to make this for my friend. Maybe one day I'll be able to make one for a babe of my own! 1. Soak the wood beads and wood cross in melted coconut oil for at least 15 minutes to soften. Remove and rub dry. 2. String the wood beads and silicon beads onto nylon cord; tie off the end. Melt the end of the knot with a lighter to secure (this way there's no way the string can come undone). 3. Add the wood cross and tie off the end; repeat the melting. TIP: I recommend melting the ends of the knots because it makes sure the rosary won't come undone and become a chocking hazard; it's an important step for safety!